Forget loads of Easter eggs and all things chocolate during this year's Easter holidays. 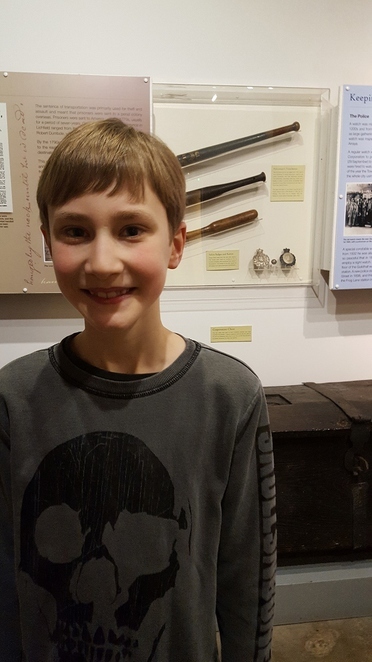 For children in Lichfield, in Staffordshire, are being invited to spend part of this year's Easter holidays by going on a guided walking tour of the city's landmarks to find out horrible facts about Lichfield's bloodthirsty history. Lichfield District Council's tourism team, Visit Lichfield, is running a Blood Thirsty Lichfield walking tour this April for all those children with an interest in the gruesome and grisly. 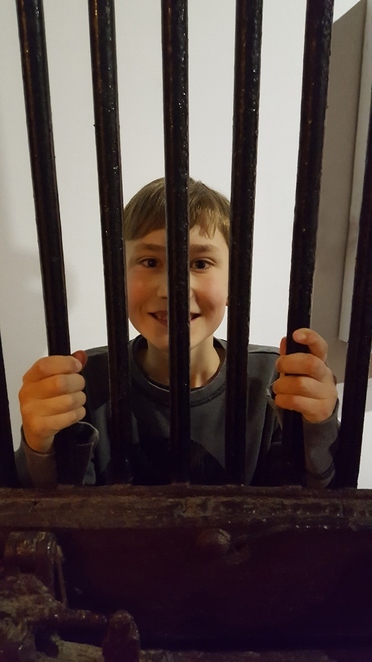 The tour, which is led by a Green Badge guide, will feature stories from Lichfield's gruesome past, including ghost sightings and burnings at the stake, as well as a visit to the spooky underground Guildhall Cells in the heart of the city. Sue Baird, Green Badge Guide, said: "The tour is based on our popular Gruesome and Ghostly tours, but is designed especially for children. It's the ideal way to keep them entertained during the school holidays." The Blood Thirsty Lichfield guided tour is on Tuesday 18 April at 10.30am. Tickets cost £4 for both adults and children. All children must be accompanied by an adult. To book a place on the tour pop in to the Tourist Information office which is currently at its temporary new home at Lichfield Library (from 5 April), email info@visitlichfield.com, or call the Visit Lichfield team on 01543 256611 or 01543 308924, again from 5 April. Darwin & the Lunarticks - Wednesday 17 May, 2pm. Price £4 per person. Learn more about Erasmus Darwin's role in the Lunar Society. 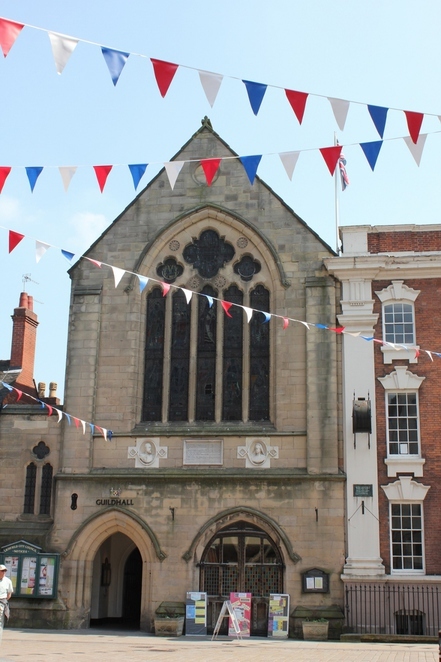 Lichfield and the Civil War - Wednesday 14 June, 2pm. Price £4 per person. How the English Civil War shaped Lichfield. Georgian Gems - Tuesday 27 June, 7pm. Price £4 per person. Lichfield was home to many famous Georgian characters and this tour tells their stories. The Routes and Roots of Lichfield - Monday 10 July, 7pm. Price £4 per person. This tour describes Lichfield's beginnings and how its central location helped it develop as a key city in the Midlands. Heritage and History Tour - Tuesday 11 July, 2pm. Price £4 per person. Lichfield is one of the smallest cathedral cities in England but has a very rich and varied past. Alrewas Village Tour - Sunday 16 July, 2pm. Price £7.25 to include a cream tea at The Crown pub in Post Office Road. Alrewas is a small,quaint village 20 minutes from Lichfield and has a fascinating history with chocolate box cover cottages - discover its secrets on this tour! The full list can be seen online. The Tourist Information desk at St Mary's on the Market Square closed to visitors on Saturday 1 April. The service will reopen in its new home in Lichfield Library on Wednesday 5 April, and will then be open every day, Monday to Saturday, between 9.30am and 3.45pm.